The First 10 people each night who purchase 4 FULL PRiCE Tickets at the Box Office will get a FREE SCREENING PASS for 2 to the HALLOWEEN MOVIE. 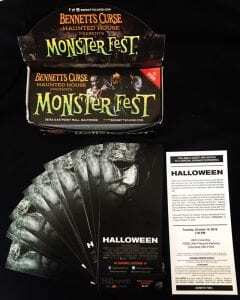 Bennett’s Curse Haunted House is OPEN RAIN or SHINE. All indoor including the waiting area. FREE Paved parking lot and NO MUDDY shoes! Come join us before the lines get really long! 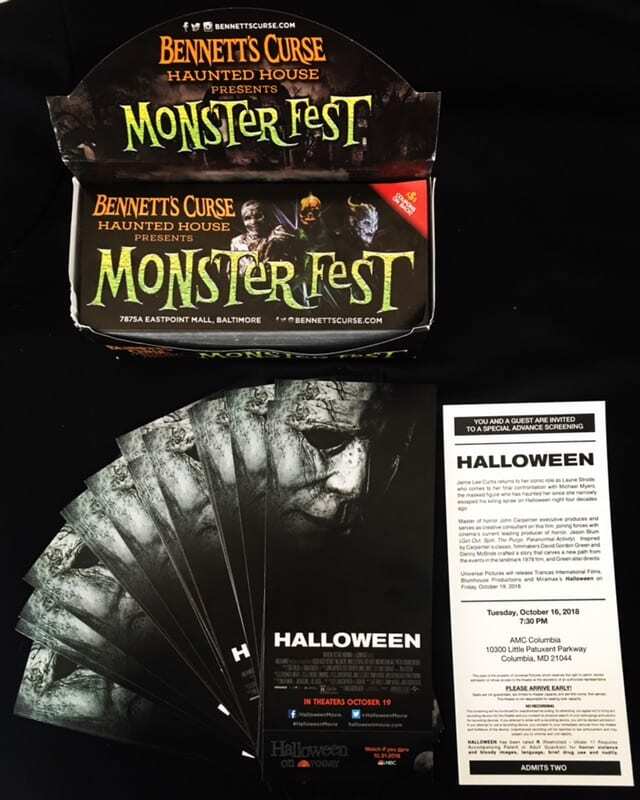 Next Bennett’s Curse Haunted House -Save up to 20% on the Demon Baby Scavenger Hunt!